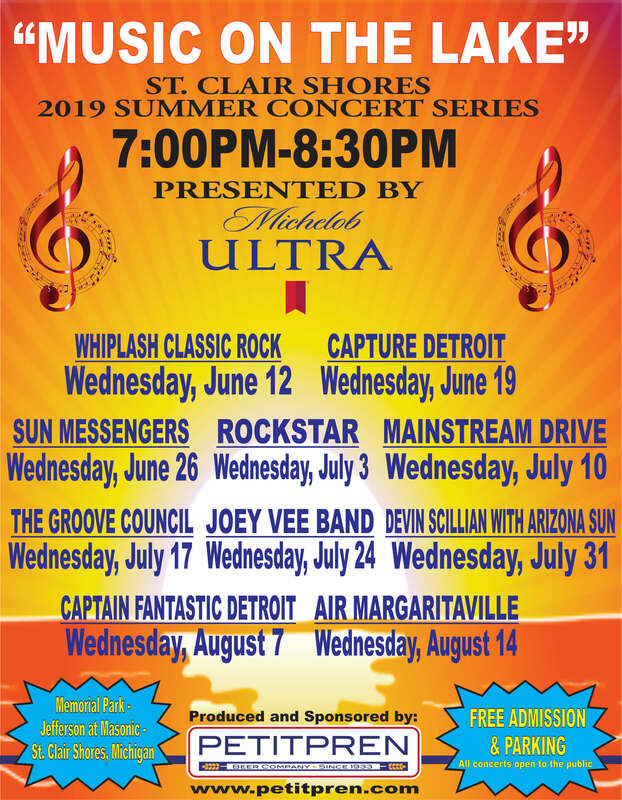 Petitpren Inc. is very excited to present the 2019 Michelob Ultra “Music on the Lake” Concert schedule performing at Memorial Park in St. Clair Shores this summer. You’ll notice some familiar, very popular groups along with some new faces. 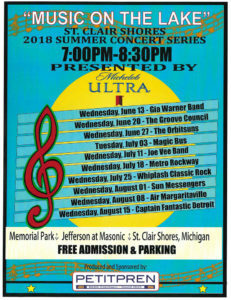 Please plan on joining us Wednesday evenings to enjoy some great entertainment. 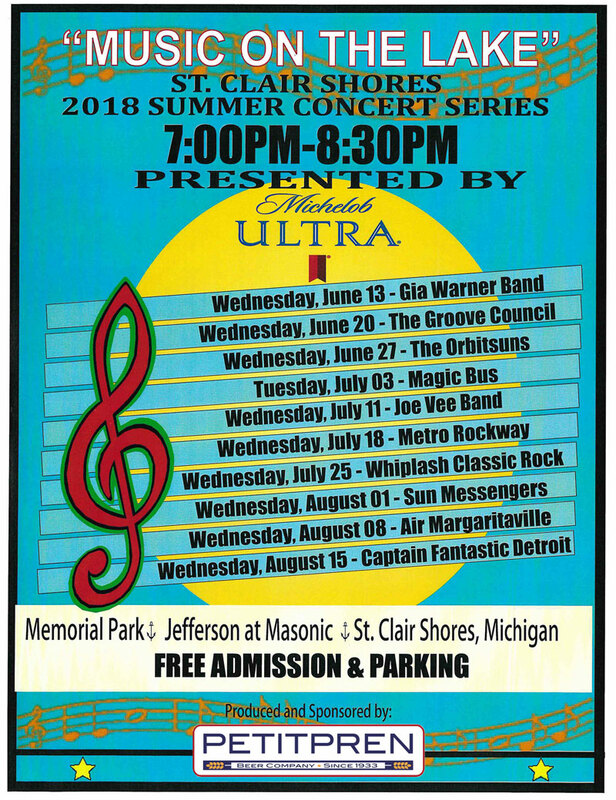 Petitpren Inc. is very excited to announce the 2018 Michelob Ultra “Music on the Lake” Concert schedule performing at Memorial Park in St. Clair Shores this Summer. You’ll notice some familiar, very popular groups along with some new faces. A strong lineup for our “28th” season. 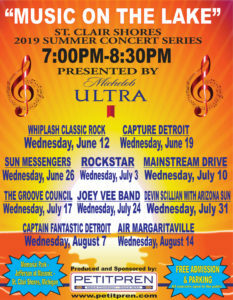 Please plan on joining us Wednesday evenings to enjoy some great entertainment. SpikedSeltzer is naturally flavored and gluten-free. It contains only five grams of carbs and 6% alcohol. Whether it’s straight from the can, poured over ice, or used in a mixed drink, SpikedSeltzer always remains perfectly refreshing.